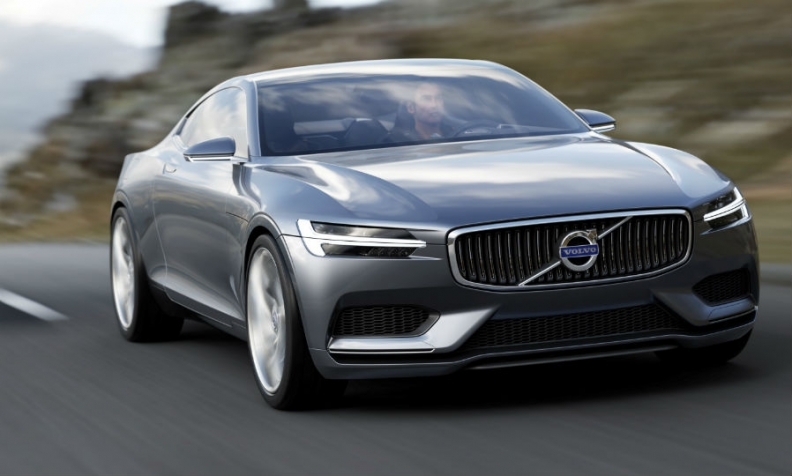 The Volvo Concept Coupe shows the brand's new front-end styling with a fresh headlight design and a slimmer 'floating' grille. Volvo today released details of the Concept Coupe that previews a new styling direction aimed at giving the brand more emotional appeal. The concept will debut at next month's Frankfurt auto show. Volvo said the two-door car also demonstrates the capability of the brand's Scalable Product Architecture that will underpin most of the future Volvo range, starting with the XC90 SUV due next year. Volvo design chief Thomas Ingenlath said the concept's designs adds "emotional value to the Volvo brand with the calm, confident beauty that is the hallmark of Scandinavian design." But the car is "free from the superficial surface excitement of other car brands, " he said in a statement. The concept is powered by a 400-hp plug-in hybrid powertrain with a 2.0-liter gasoline engine to power the front wheels and an electric motor to power the rear wheels. Volvo said the concept's powertrain reflects its strategy to use electrification for the most powerful versions of its new four-cylinder Drive-E engine family. 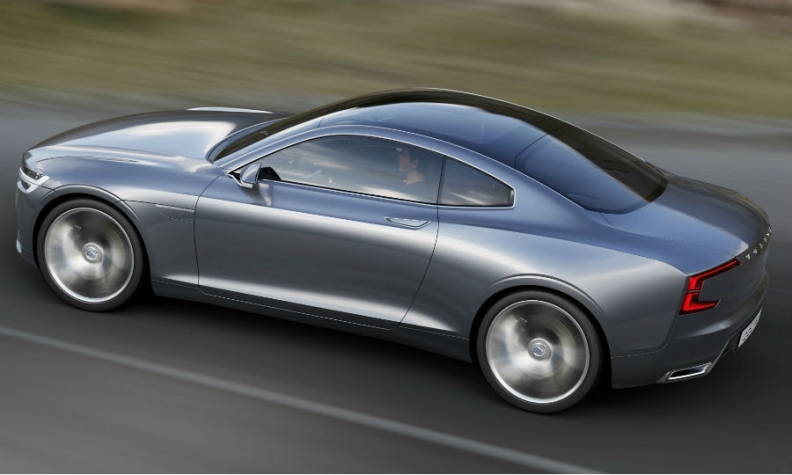 Volvo says the Concept Coupe uses design elements from the 1960′s era and modern Scandinavian lifestyle. The concept is the first show car created by Ingenlath, who took up the post in July 2012. He previously worked for Volkswagen Group including a stint as chief designer for Skoda. 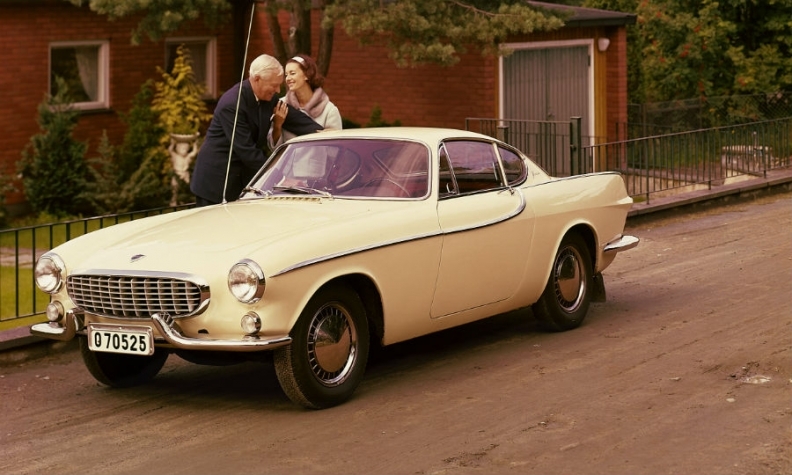 The coupe has exterior and interior elements that echo the design of the Volvo P1800 from the 1960s without being retro, Ingenlath said. "The P1800 is an iconic Volvo, renowned for its beautiful forms and detailing. We are using these subtle links to a glorious past to create a future where sheer beauty becomes a recognized part of Volvo's identity," he said. The P1800 lent design cues to Volvo's new styling. Volvo said its Scalable Product Architecture is also being prepared for self-driving cars. The first features with autonomous steering to avoid accidents and make driving more comfortable will be introduced next year in the XC90. Volvo aims to have cars with fully autonomous technology out on the roads before 2020.